WASHINGTON, Jul 18, 2014 (BUSINESS WIRE) — Long hours of nighttime driving can cause eyestrain because while our vision adapts to the surrounding darkness, the sudden stabs of brightness from streetlamps can be irritating, distracting and even painful. Even as LED technology has transformed the lighting industry, bringing the promise of more energy-efficient road illumination, some fear that the new lights could cause even more troublesome, unsafe glare. A team of researchers from China and the Netherlands has developed a way to evaluate the human impact of uncomfortable glare caused by LED road lights. They created a model that can predict the level of discomfort experienced by drivers under various lighting conditions. The team today reported their findings, which could guide streetlight placement and design, in The Optical Society’s (OSA) open-access journal Optics Express. Traditional ways of predicting how much a person will want to look away from a bright light, characterized by a term called discomfort glare, are based on the nature of conventional light sources and may not be appropriate for LED streetlights, Lin noted. For example, LEDs are designed to emit the same amount of light as conventional bulbs from a smaller area, which could possibly increase the discomfort glare. In addition, white LEDs typically have more energy in the blue part of spectrum, which can also cause more glare because blue light is perceived brighter by the human eye under the same light levels, based on past studies. To investigate the effect of LED streetlights on the discomfort glare perceived by drivers, the team devised a laboratory set-up to mimic visual conditions on the road. The researchers painted the floors and walls of a room completely black, and then positioned a collection of light sources around the room to simulate the illumination from an LED streetlamp as it would appear to a driver on a dark road. The team was guided in the selection of test lighting conditions by previous work done on discomfort glare. “Although the characterization of discomfort glare for conventional light sources may not be applied to LEDs, the possible factors affecting discomfort glare may remain the same,” Lin explained. Lin and her colleagues systematically modified four lighting parameters in their experiments: the luminance (i.e., the luminous intensity of light per given area) of the LED lights, the background luminance, the apparent size of the LED lights from the perspective of the observers (measured by a parameter called solid angle), and the angle between the LEDs and the line of sight of the observers. Based on the results, the team developed a model that related the four parameters mentioned above to the level of discomfort glare experienced by an observer. They validated the model with two additional experiments – one carried out in the lab and one on the real roads. The researchers found that the interaction between the LED luminance and the solid angle, which can be characterized by the amount of light hitting an observer’s eyes (known as vertical illuminance) was the most significant factor affecting discomfort glare. 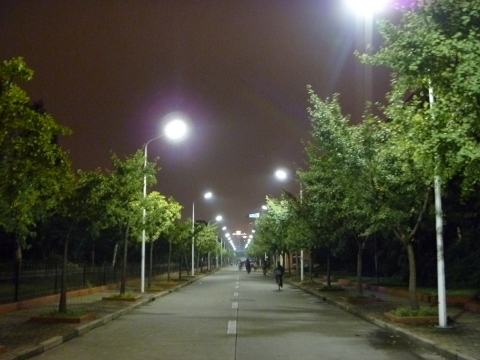 To minimize discomfort, they recommend minimizing both the amount of light hitting at the eyes and the luminance contrast between the streetlights and the background, which can be accomplished through good optical design of the LED light unit and careful placement of each streetlight. While more follow-up work would be needed before the team’s results could guide industry standards, the researchers hope their model could still be put to immediate use by design and construction firms working on LED streetlight replacements and installations. Going forward, the team plans an interdisciplinary investigation of the physiological changes caused by glare, which could allow the researchers to ditch the 9-point rating scale in favor of more concrete measurements of discomfort such as eye movement and pupil size. Optics Express reports on new developments in all fields of optical science and technology every two weeks. The journal provides rapid publication of original, peer-reviewed papers. It is published by The Optical Society and edited by Andrew M. Weiner of Purdue University. Optics Express is an open-access journal and is available at no cost to readers online at www.OpticsInfoBase.org/OE . Founded in 1916, The Optical Society (OSA) is the leading professional society for scientists, engineers, students and business leaders who fuel discoveries, shape real-world applications and accelerate achievements in the science of light. Through world-renowned publications, meetings and membership programs, OSA provides quality research, inspired interactions and dedicated resources for its extensive global network of professionals in optics and photonics. For more information, visit www.osa.org . SOURCE: The Optical Society, “A model predicting discomfort glare caused by LED road lights” Y. Lin et al., Optics Express, Vol. 22, Issue 15, pp. 18056-18071 (2014). BETHESDA, MD. — More than 2,700 owner- and top-management level U.S. electrical contractors report a high influence in electrical design and brand specification — maintaining a steady gain over the past decade. According to Electrical Contractor magazine’s biennial reader survey, the 2014 Profile of the Electrical Contractor, more than 80 percent of electrical contractors now report a medium or high ability to influence the overall electrical system design. The top three reasons for original brand selection and substitution are availability, price and compatibility with existing systems. “Our Profile study is a 50-year-old trusted resource for our industry partners, and serves as a benchmark for our readers,” said Electrical Contractor Publisher John Maisel. “It offers the most detailed, current data on electrical contractors’ growing involvement in the design, specification and integration of a broad spectrum of building operating systems,” he said. Although this year’s survey shows that 92 percent of firms work in traditional electrical/powerdistribution, that category now accounts for just 44 percent of total firm revenue – down from 69 percent in 2004, and 56 percent in 2010. This steady decline demonstrates an increase in electrical contractors’ ever-expanding scope of services. The survey reports that 70% worked in power quality, communications systems/connectivity and/or CII automation/controls, while 61% performed communication systems/connectivitywork, with structured wiring/cabling mentioned most often. Other significant boosts in types of work performed since 2012 include power quality (70 percent vs. 62 percent), green/sustainable building elements, communications systems and/or green/sustainable technology/alternative energy. Rapidly growing work also includes Leadership in Energy and Environmental Design (LEED) projects and non-LEED energy efficiency upgrades,electrical vehicle charging stations, energy audits (thermal imaging) and smart or net metering. The 2014 survey also debuted three, new project types: Daylighting/Shading Systems,Troubleshooting/Maintenance of Low Voltage Systems, and Microgrids. 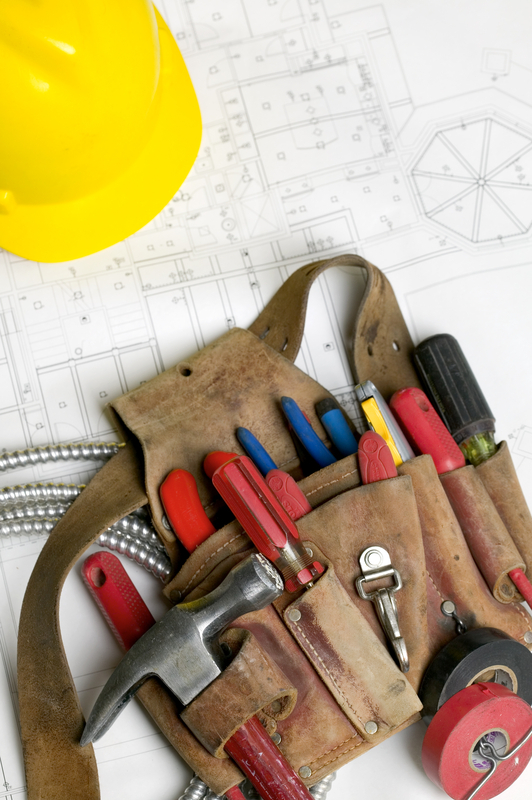 The survey will be featured in Electrical Contractor’s July and August issues at www.ecmag.com, including detailed breakouts. The chill in the air, the leaves turning color, it can only mean one thing: time to bust out the hot glue gun because it’s craft time. Save your burnt out incandescent bulbs from the landfill and consider one of these DIY projects instead! Here in Albuquerque the air is changing: cooler mornings, the scent of roasted chile, and hot air balloons afloat. Here’s a cute idea for yourself or to give to a house guest who’s here for the fiesta. Chicago jeweler Jason Gershenson-Gates is known for making these creepy-crawlies using recycled watch parts and lightbulbs (http://www.amechanicalmind.com/). Instructions aren’t available, but if you’re up for a challenge try making your own. Don’t have watch parts lying around? Try using those random nuts, bolts, and screws laying around in the garage. The pear shape of a traditional lightbulb is perfect for making, well, pears. Here’s a simple yet classy project to decorate your Thanksgiving table. Celebrate the holiday of lights with an oil lamp. Make this project as-is or use this concept to make a one-of-a-kind menorah. Beat the winter blues when the days are short and summer gardens feel like they’ll never be here again with an indoor terrarium to brighten up your desk or bedside table. 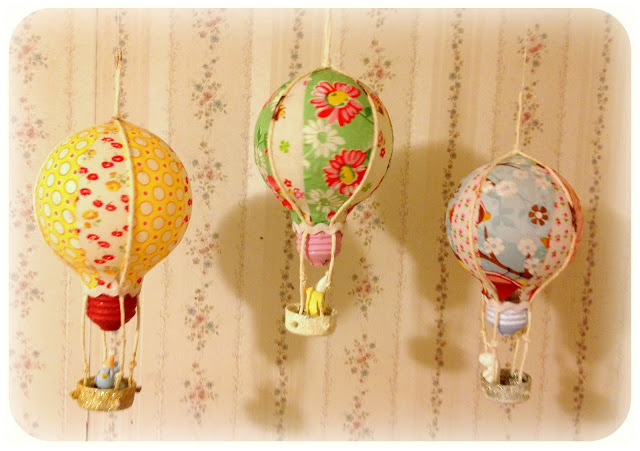 There’s lots of ideas out there for Christmas ornaments and decorations using old light bulbs. One of our favorites are these glittery snowmen that will sparkle on the tree. Watch the ball drop with some festive jewelry. It’s a new year, and a new opportunity to save both energy and money. Perhaps you’ve been meaning to take some steps to save energy, but just haven’t gotten around to it yet. You’ve read articles, seen videos, and heard from your friends and co-workers about all of the cool “green” trends that have emerged over the last several years. Well why put off until tomorrow what you can do TODAY? (I know, I know.Procrastination can sometimes be a good thing. But seriously – some of this stuff is easy peazy!) Let’s get started implementing some of your energy-saving new year’s resolutions! Turn them off. This sounds like a no-brainer as it is the absolute easiest and cheapest way to save your energy costs. Future generations thank you for flipping off the switch. Consider the use of dimmer-switches. There are likely spots in your home or office that don’t necessarily need to use a bulb’s full power at all times of use. Dimmer-switches make it easy to control the amount of artificial light. Motion sensors are another way to reduce energy use when no one is around. These are perfect for slow retail spaces, public bathrooms, and offices. When all employees are so hard at work that the lights switch off due to low movement around the office, 30 watt replacements in individual desk lamps come in very handy. Time to upgrade to CFLs. Or even better – LEDs. Check out this Light Bulb Savings Calculator from National Geographic to determine how switching to modern low-energy replacements can benefit you over the long-run. Consider a retrofit. If you are a business owner, or work for a business that is interested in reducing energy costs, there is nothing easier than enlisting the help of your local energy solutions company (like us, if you’re in New Mexico!). Estimates are free, and we’ll do a full energy audit for your business to determine where you can best utilize modern lighting technology. Use blinds or curtains. For cooler climates, consider the use of thermal curtains. Mind your thermostat. You can save up to 10% each year on heating and cooling energy costs by lowering your thermostat 7-10 degrees for about 8 hours/day. If remembering to turn the thermostat down or off is just one more thing to add to your already crowded to-do list, consider using automation and programming tools. They are coming down in price year after year! Perhaps 2014 is the year to make your home a smart home? Hmmm? The fireplace is not always a good thing. Older, wood-burning fireplaces can actually be inefficient by drawing more heated air out of your home through the chimney – more so than the amount of heat the fire itself can produce. If you’re going to burn in these kind of fireplaces, turn your thermostat down to about 55°F. Windows. Consider upgrading to thicker-pane glass in your windows. Some companies, utility providers, and government agencies will even provide rebates or tax incentives. This should be a last-resort option on your energy-saving to-do list, as the cost of a window replacement project can be quite high. Seal up cracks and gaps along windows, doors, and siding with caulk and weather stripping. Keep up maintenance on your furnace and air conditioners. Check the unit’s efficiency rating, and consider replacing if your current one is out-dated, or too costly to maintain and replace. Furnaces with an AFUE (Annual Fuel Utilization Efficiency) rating of at least 92 and an efficient blower motor are your best bet. For cooling, look for a unit with a SEER (Seasonal Energy Efficiency Rating) of 14 or more. For more energy-saving tips around the home and office, check out the U.S. Department of Energy’s Energy Savers Guide. If you’ve never heard of LiFi, don’t worry – you’re not alone. The technology is still in its infancy, but researchers are quickly paving way to perfecting this new communication medium. LiFi, a nickname given to technology that uses Visible Light Communication (VLC), is basically the ability to transmit data wirelessly using light waves similar to how WiFi uses radio waves. Recently a team of researchers lead by Herald Hass, Professor at the University of Edinburgh and Chief Science Officer/Co-Founder of pureLiFi, has demonstrated that up to 1.1 gigabits per second (Gbps) can be transmitted through LiFi. His team used the light waves from a micro LED over a distance of 32.8 feet (10 meters) using less than half a watt in power (only 5% of the power of a typical 10W LED light bulb). 2. The distance (10 meters) at which the 1 Gbps transfer can occur is 10 times larger than what was previously reported. In March, Li-1st made its debut as the world’s first commercial LiFi product. The Li-1st is a high-speed, bidirectional optical wireless system with the ability to operate with a variety of commercially available LED lamps. It comes with an IP-enabled ceiling unit and a desktop device that connects via USB. A graphic from PureLiFi explaining how VLC works.